Women in the menopause and post menopause phases of their life are at highest risk of osteoporosis; thinning of the bone structure. The condition is associated with the permanent drop in estrogen levels. The insufficiency of the hormone leads to many changes in the body including ones in the structure of the bones. Osteoporosis can be prevented or at least slowed down with the use of simple yet effective methods. Take sufficient amounts of calcium and vitamin D. Calcium is the building element of bones and vitamin D is necessary for calcium to be used efficiently by the cells of the human body. It is recommended for women over the age of 50 to get 1,200 mg of calcium per day. The optimal daily dosage of vitamin D is 400 IU, but many doctors recommend their menopausal patients to have as much as 1,000 IU per day. This amount is considered safe and effective. The best sources of calcium and vitamin D are the natural ones. You should consider eating plenty of low-fat dairy products. 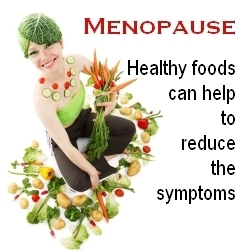 They may help with menopause symptoms as well. Drinking warm milk before going to bed can aid with insomnia while yogurt is beneficial for digestion. Soy and soy products are also excellent sources of the mineral that can relieve menopause symptoms due to the natural phytoestrogens contained in them. Leafy greens and fish should be present in your diet. Sun exposure with appropriate UV-block protection is the best way to get sufficient amounts of vitamin D.
Do exercise to prevent osteoporosis. By working out, you will keep your muscles, tendons, joints and bones strong. The natural functions of the body will be stimulated as well. This means that the absorption of calcium into the bones will be improved at least to an extent. Aerobic exercises which do not cause great exertion of the joints and bones are recommended to women in menopause. These include walking, jogging, dance, swimming, aerobics and water aerobics. You should include strength training in your workouts as well for best results. Yoga and Pilates exercises are recommended as they are easy on the joints. Maintain a healthy weight to lower your risk of osteoporosis. This will help to relieve menopause symptoms and to lower your risk of heart disease too. A balanced diet with foods from all food groups served in small portions plus exercise should help you with maintaining optimal weight. Avoid smoking and alcohol. This is important for osteoporosis prevention. It also helps to alleviate the common symptoms of menopause.